At The Little French Provincial Shop we love French Provincial. We love Vintage, we love French Country and Cape Cod Beach House Chic. We love the comforts of a relaxed home. Most of all, we love reinventing furniture with a past that just wants to be fallen in love with all over again! We don't like mass produced "me too" furniture that thousands of other people have, or furniture that needs to be assembled with an allen key! While I adore reinventing furniture and producing unique pieces of furniture to make a stunning statement in your home, I do a lot of painting and I have searched widely for products that I genuinely love to use, those products that allow me to achieve the effect I want with little fuss. Sure there are other products available, but the paints, waxes and appliques that I stock in the store are the products I use, love and can recommend. Artisan Natural Chalk Finish is a beautiful Australian made, environmentally friendly chalk based paint. Available in the most gorgeous colours, Artisan Natural Chalk Finish is easy to apply, requires minimal surface preparation, and dries to a smooth velvety finish. Artisan Natural Chalk Finish is lusciously smooth and has amazing coverage due to the high levels of natural pigments used. Even to most novice painter can achieve stunning results! Designed by Australian furniture painters for Australian conditions this is a truly outstanding paint. Available in 1 litre pails, and a generous 200ml sample pot which is enough to paint a stool. bedside drawers or a side table. Artisan Finishing Waxes- I love, love, LOVE these waxes! Artisan Waxes are all Australian made and are all natural. They are creamy in consistency and go on easily before drying and then buff beautifully with no stickiness, streakiness, excessive buffing or nasty fumes. They smell divine, and buff to a lovely soft sheen or can be layered to build up a higher gloss. The antiqing wax is lovely- no yellow muddiness here while the black wax is the perfect soft black - subtle and takes away all the fear of using antiquing waxes! Available in a range of colours: clear, antique, and black with white liming wax soon to be added, you are sure to get the finish you are after. If you have fallen out of love with waxing furniture- try Artisan I guarantee that you will fall in love with Artisan! The Artisan range also has a great range of accompanying products such asGlaze, Instant Age finishing waxes, patina waxes, textures, crackle,and Hemp Oil- all the fun things! Miss Mustard Seed Milk paint is old fashioned milk paint- it has been around for centuries! 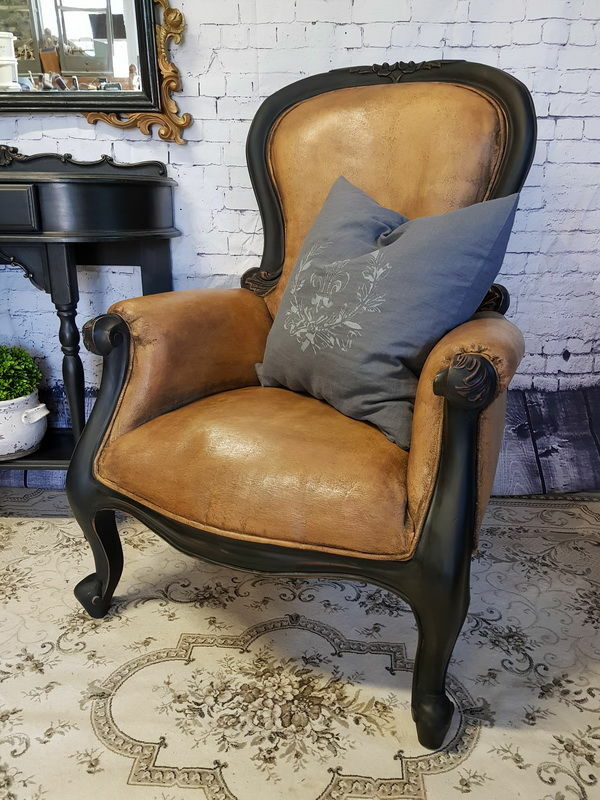 It is the ONLY paint that gives you that lovely authentic "chippy" look or patina that we love- it looks great in so many décor style- retro, industrial, farmhouse, French, and is truly a go -to paint ! It is so versatile- if you don't want the chippy look (and some pieces just don't want a chippy look , they need a pretty new coat!) just add bonding agent and you get lovely smooth opaque coverage! NO brush marks, just a smooth almost ceramic finish! It comes in an amazing range of lovely colours and you can even custom mix your own colour. Fusion Mineral Paint is the latest range of paints from Homestead House in Canada (Where MMS milk paint is manufactured) This is a truly purpose made furniture paint - foundation to finish! Fusion is the easiest paint to use... it has amazing coverage due to the fact that it is so highly pigmented. It needs no primer and no topcoat. How easy is that? Of course you can always add a top coat if you want to for decorative purposes (like antique wax, or a acrylic coat for sheen) Fusion has the most delicious colour range and best of all it comes in 500ml pots! Most of the time a 500ml pot is enough to paint your average project such as a sideboard, dresser or chest of drawers. Then you get to choose another colour without having a half empty tin sitting on the shelf! Efex Furniture Appliques will undoubtedly take your projects to the next level! Moulded from antique French trim these appliques are amazing! Authentic designs, they are made of latex and totally flexible. They can be used on curved surfaces, around corners and can be stretched to fit exactly. They are easily attached using contact cement and due to their design really look like they are part of the furniture, not just stuck on. We run regular workshops showing you how to use these products to transform your own pieces of furniture. Join me for one of our workshops to discover the endless possibilities of these products! We will also stock a selected range of gorgeous french themed homewares, and stunning French style accessories for your home. At The Little French Provincial Shop we strive to have 100 percent happy customers! If you cant find what you are looking for, email me and I may have just the piece waiting to be transformed! About BleuProvincial - Our Blog! The BleuProvincial blog was first published in 2015. Right from the beginning I wanted to make this blog a helpful resource, with tutorials, practical advice, encouragement and a dose of reality from life living in on a farm! 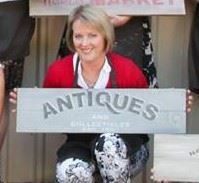 Some of the blog series covers painting furniture, before & after inspiration and decorating tips & tricks as well as upcycling and rural lifestyle. I want to connect with other like minded DIYers no matter where they live! I hope you visit our Blog and if you like what you see... please subscribe! I’m Alison from The Little French Provincial Shop. A wife, mother of two boys and lover of all things home and French styled- a total unashamed Francophile! Before I had our lovely boys I had a career in the medical industry, managing surgical implant ranges for a large international company. This allowed me to travel extensively throughout France and led to my addiction to all things French! Although I have worked for many years in the corporate world I have never thought of myself as an entrepreneur. I am an enthusiastic interior designer and furniture mover and I am lucky to have a very tolerant husband! I enjoy writing but no doubt will abuse punctuation as I go along and sometimes spell check won’t work as well as it should! But, here I am, starting on a big adventure and I hope you will enjoy the ride with me! I am amazed at what can be learnt on the internet and am now passionate about sharing what I have learnt along the way in the hopes of encouraging others. We now live on a property in South Eastern New South Wales, Australia. It is an idyllic life for the boys with horses and motorbikes to ride, creeks to explore, and yabbies to catch. Spring is always a time of wonder with new born Angus calves and Silverlaced Wyandotte chicks to play with. We are also fortunate to have many award winning wineries as neighbours and some gorgeous restaurants nearby. I am always in paint spattered clothes, and I am constantly asked what I am painting when I go to the hairdresser! My husband cheerfully helps me move furniture and our two gorgeous lads are always offering to “help”. I am constantly juggling the roles of wife, mother, and farmer, the constant ferrying of children to swimming, rugby and cricket, the demands of a part time job with a fulltime passionate hobby, but I love it and I hope to share it all with you. You only live once... so live beautifully!